The discovery of Homo luzonensis suggests the history of human evolution is more complicated than we thought. Beneath the rocky floor of Callao Cave on Luzon island in the Philippines, researchers have uncovered a number of fossils from what they believe is a previously unknown ancient human species. Dubbed Homo luzonensis, the newly identified species inhabited Luzon more than 50,000 years ago, during the Late Pleistocene epoch. This means they shared the Earth with other relatively advanced hominins, including Homo neanderthalensis (a.k.a. 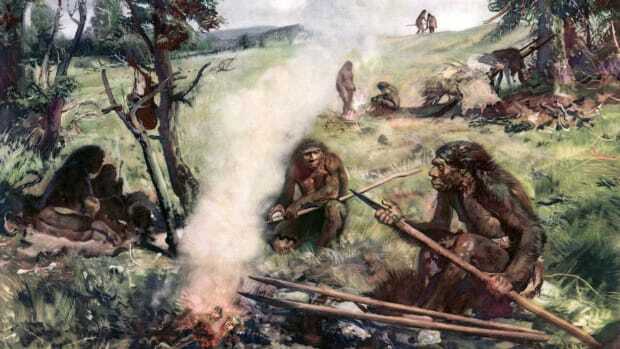 Neanderthals) and Homo sapiens, or modern humans. These early humans lived in the same region and at the same time as the previously known “Hobbit” species, Homo floresiensis, and their tiny teeth suggest they may have been even shorter—possibly under three feet tall. 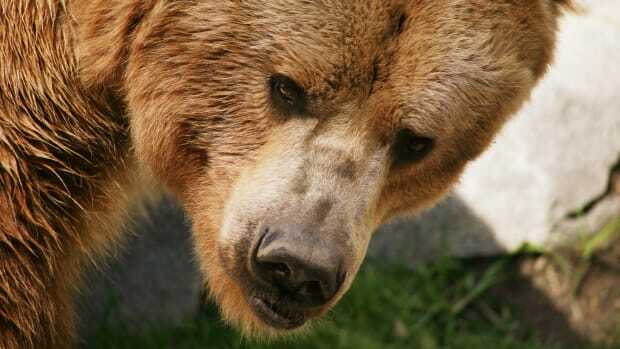 But their tooth and foot shape, along with other traits, mark them as a distinct species all their own. Scientists have known for a while that generations of ancient hominins called this island in Southeast Asia home. Back in 2007, archaeologists in Luzon discovered a single foot bone (or metatarsal) in Callao Cave, which they dated to 67,000 years ago. Analysis of that fossil suggested it belonged to a member of the genus Homo, but they didn’t know which species. 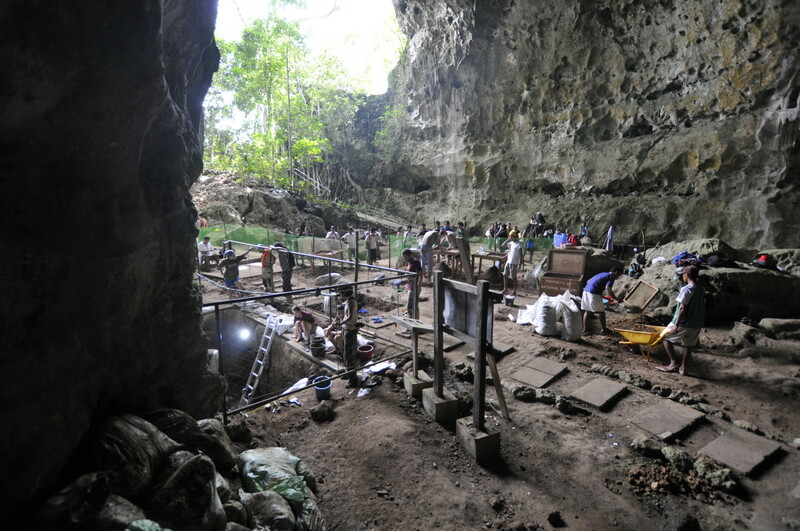 Excavation work inside the Callao Cave in Luzon. 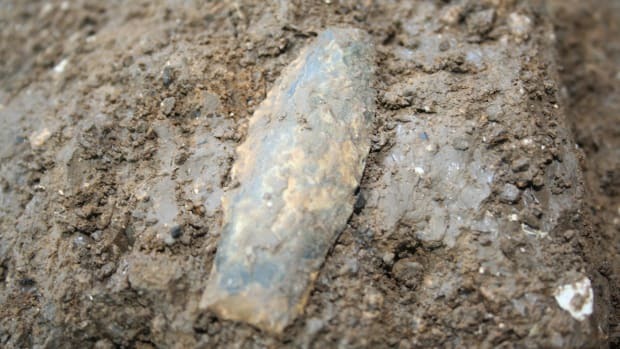 In later excavations, conducted in 2011 and 2015, an international team of researchers led by Florent Détroit, of the Musée de l&apos;Homme at the Natural History Museum in Paris, and Armand Mijares, of the University of the Philippines in Quezon City, found 12 more hominin bones and teeth in the same rock layer where the foot bone had been found. 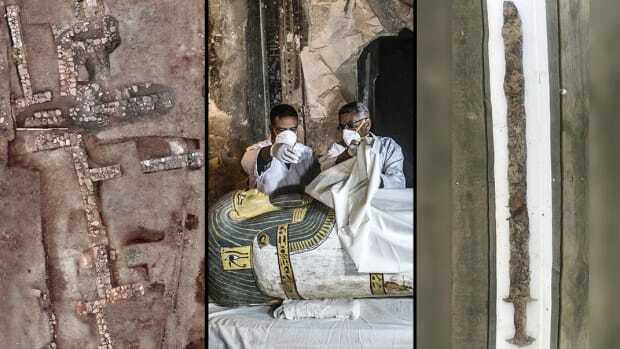 In their analysis of the fossils, published in Nature, they trace the remains to three different individuals, including at least one juvenile. The fossils found in the cave—including several foot and hand bones, a partial femur and teeth—shared some morphological features with more primitive hominin species such as Australopithecus and Homo erectus, as well as more advanced ones, including Homo sapiens and Homo floresiensis. READ MORE: Did Humans Kill Off the Hobbits? 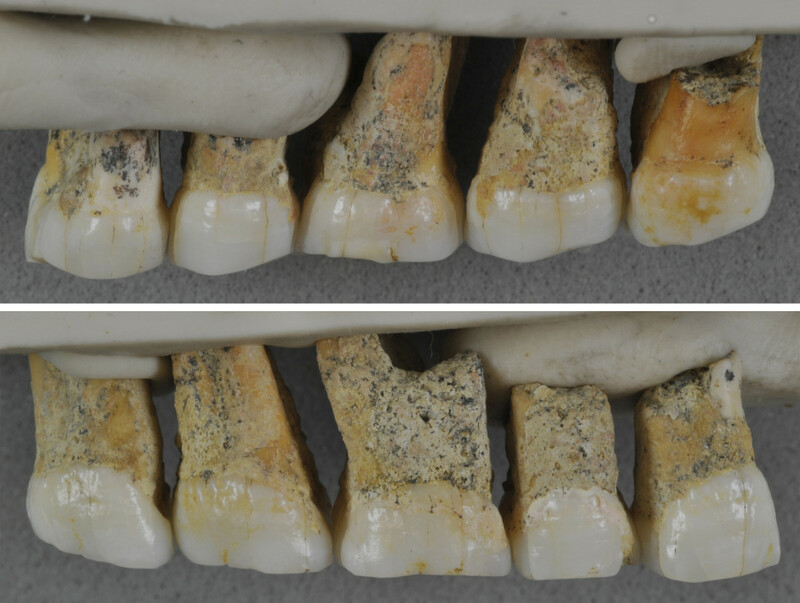 Molars and premlars found of the Homo luzonensis. In particular, the teeth found in Callao Cave differ from those of other known hominin species. The premolars have two to three roots, while in Homo sapiens, premolars usually have only one root, or two at the most. These distinct premolars, as well as the tooth enamel and dentin (the hard bony tissue that makes up the body of the tooth) are similar to Australopithecus and more ancient species of the genus Homo, such as Homo habilis and Homo erectus. On the other hand, the molars are very small and simply formed, like those of modern humans. “An individual with these characteristics combined cannot be classified in any of the species known today,” said Détroit. The foot bones identified as Homo luzonensis also stand out for their combination of primitive and developed features, which indicates members of the species might have had a distinctive way of walking. The proximal phalanx (which forms the base of the toe) is curved, with highly developed insertions for the muscles involved in the flexion of the foot. “These characteristics do not exist in Homo sapiens,” Détroit pointed out. In fact, the foot bones found in Callao Cave are more similar to Australopithecus, which was known to live only in Africa some 2-3 million years ago. This suggests Homo luzonensis might (like Australopithecus) have had the ability to easily climb trees as well as walk upright on two legs, though it’s not clear whether they did so. 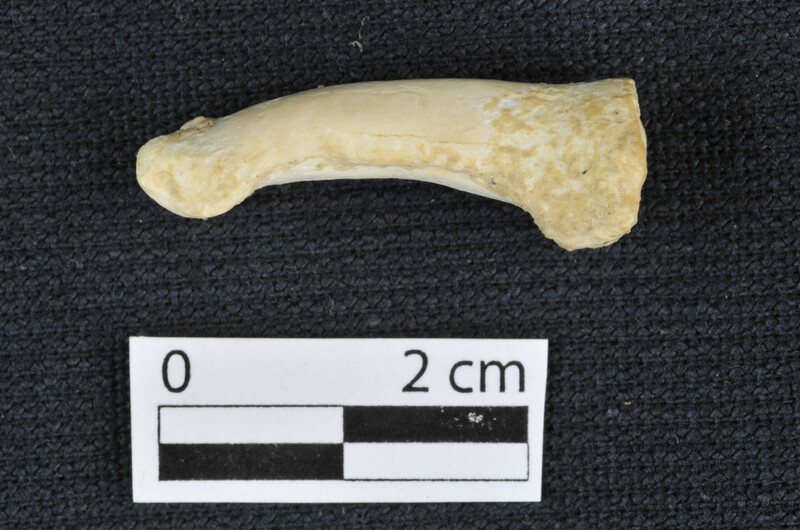 A proximal foot phalanx of Homo luzonensis, showing the longitudinal curvature of the bone. 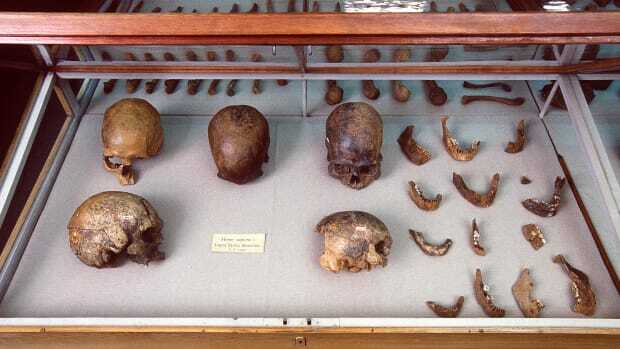 Though other Homo species are known to have inhabited the Southeast Asian islands, the researchers think Homo luzonensis were the only hominins present on Luzon at the time. 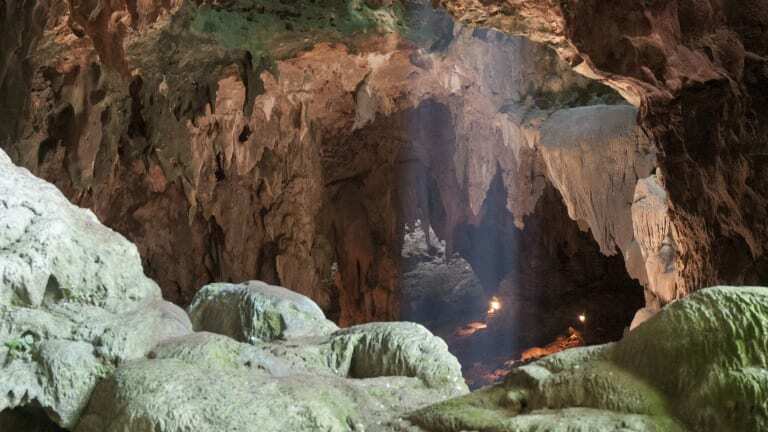 The earliest Homo sapiens known in the Philippines are fossils discovered in Tabon Cave on Palawan Island, dated to 30,000 to 40,000 years ago at the oldest. 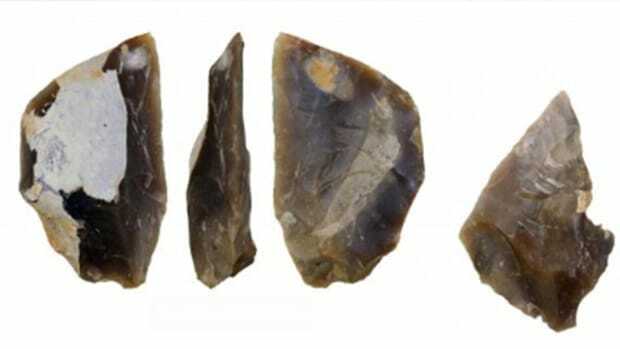 By contrast, archaeologists recently unearthed stone tools and bones from a butchered rhinoceros in a valley near Callao Cave, suggesting that Homo luzonensis or its ancestors were on Luzon as many as 700,000 years ago. Luzon is a large island and has never been accessible to the rest of the continent via land bridge. As a result, much of its flora and fauna are endemic (or restricted) to the island, with a relatively low genetic diversity. This phenomenon can rise to species that differ significantly from related species on the continent, the researchers argue—which explains why Homo luzonensis might look very different from its mainland hominin relatives. At least a dozen species in the genus Homo have been identified so far, of which Homo sapiens is the only survivor. The exact number of early human species is a matter of debate, and has continued to expand over the years. Most recently, in 2012, scientists announced that fossils found in China belonged to a previously unknown early human species, which they called the Red Deer Cave people. Like other recent discoveries that have expanded scientists’ understanding of human evolution (including the revelation that modern humans interbred not only with Neanderthals but with the mysterious ancient hominins known as Denisovans), Homo luzonensis and its distinct blend of features suggests the evolution of the Homo genus took many more twists and turns than previously believed.